Jyotish (astrology) is one of the medium by which you can predict human’s future, karma, or their nature. And many people have faith in astrology. According to astrology, if someone have Saturn and moon in their horoscope, at good place, then they can have many good and bad things in their life, just because of this one “vish yog”. So below is more about this ‘shani-chandra yuti’. 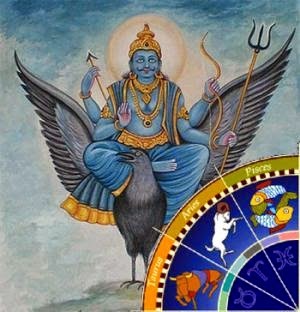 Mostly, Shani-chandra Yuti is considered as Vish yog (Poison Combination), But it has good effects too. Below is the measure of shani chandra yuti. - If someone have Saturn-moon planet together in their horoscope, than that person be doing job, lazy and greedy. - If the Saturn and moon planet is together in fourth house of horoscope, than person must be doing work related to water, such person must be doing business in mineral matters. - If the Saturn and moon planet is together in 7th house of horoscope, then that person must be favorite of some minister, but such persons behavior with ladies will not be good. - If the Saturn and moon planet is together in 10th house of horoscope, that person will conquered enemies easily, and will achieve king like happiness in his/her life. For all other it will not give bad effects. Here, we just given conjunction of Saturn and the moon, it can be different based on other planet’s situation. It should be noted down that position of all other planets in horoscope can also be considered. - Donating items related to mood will help a lot. - Donate Saturn related things. - Do not accept gifts related to moon and Saturn. - Do worship lord hanuman. You should offer jasmine oil and sindoor every Tuesday and Saturday. - Do chant “hanuman chalisa” daily.